Today is my monthly tech fast - no computer, no internet, no texting. Should be interesting - especially with my kids home for Spring break. Hoping to get some writing done (longhand!) and a bit of cleaning. 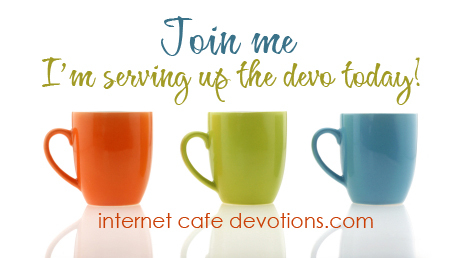 OH, and since you don't have anything HERE to read from me, be sure to stop by the Internet Cafe, where I'm "serving up" the devotional (NOT in person, of course!). Come here a bit of a confession about how I feel about my kids sometimes, AND the reassurance that the Lord never feels the same way. Abandoned? Nope! 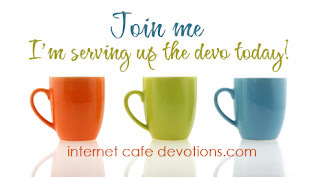 One day we shall both meet at your blog at the same time!